Within the walls of a small woodlands elementary school, two students just can't seem to get along! 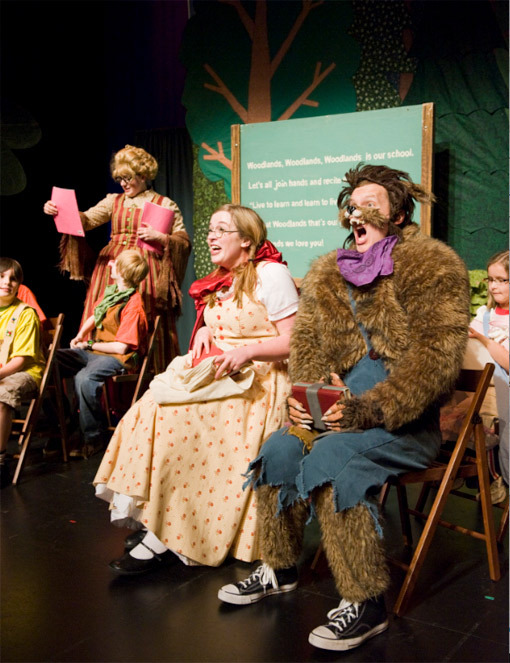 The trouble between the exemplary Little Red Riding Hood and the delinquent Wolfgang worsens when they leave the school grounds and Little Red finds herself confronted by the bully along the path home. Uncertain of how to deal with Wolfgang, she threatens to get him in trouble by rushing home to tell Grandmother. The exciting climax at Grandmother's house reveals that maybe there's more to this bully than Little Red might have thought. An Actor, Director, Designer and Writer. Brian has been designing costumes for Alberta Opera for the last 3 years on their productions of The Frog Prince and Cinderella: for which he received an Edmonton Sterling nomination for best costumes. Brian has designed for many theatres in Edmonton and around Western Canada including Shadow Theatres, Theatre Network, Red Deer College, Grande Prairie Live Theatre, Theatre Yes, Sound and Fury Theatre and Theatre Prospero. Brian has been the resident Costume Designer for Victoria School of Performing and Visual Arts for the last 8 years. A few of his favourite productions he has designed include: Ten x Two, Suessical: The Musical, The Weir, Thoroughly Modern Millie, My Name is Rachel Corrie, As You Like It, The Music Man, Macbeth, Little Shop of Horrors, The Mercy Seat and My Fair Lady. Brian is also a multiple Sterling Award nominee for theatre design and winner for Costume Design for Shadow Theatres 2006 production of 10 x 2. As well as the recipient of the 2007 Beta Sigma Phi Theatre Arts Scholarship Endowment. Ashley is overjoyed to be on stage with Alberta Opera this fall. Her recent theatrical credits include: High School Musical On Stage (Viva Musica), The Wizard Of Oz (Citadel), Beauty and the Beast (Citadel & Theatre Calgary), Little Shop of Horrors (Mayfield Dinner Theatre), The Full Monty (Ground Zero Theatre), Crooked (Edmonton Fringe Festival) and Olympus (Century Theatre). Born in Summerland BC, Ashley has trained her voice classically since the age of eight. In 2007 Ashley graduated from the MacEwan Theatre Arts program in Edmonton, where she was blessed to perform such roles as Jeanette in The Full Monty; Irene in Crazy For You; Penelope Pennywise in Urinetown and Lilly in The Secret Garden. Ashley is thrilled to be working with such a talented and creative team. This is Nathan's first production with Alberta Opera. Hailing from Regina, Nathan obtained his BFA - Acting from the University of Regina, and made the trek to Edmonton three years ago. He is usually seen acting on stages, but he thought he'd trying playing a piano on some this time. His credits include Gossamer Feast (iiii’s theatricals), 00:00 (Zero Ante Meridiem)(Cowardly Kiss), Extremities (Guts & Guile), Aloha Pinafore (Sherard Musical Theatre), Unsolicited Mail (Nextfest 2008), Food For Thought (Evergreen Theatre), and You Are Here, The Trial of Salomé, and Antony and Cleopatra (Walterdale Theatre Associates). He has also written a play, Cellar Doors, Secret Gardens, which was produced at by Walterdale Theatre as part of 2008’s From Cradle to Stage. He’s looking forward to this run, but hopes it won’t interfere too much with watching the Roughriders win their second Grey Cup in three years. When dealing with actors, or any performers, you get a wacky array of personalities that stick out badly next to 'normal' people. David sticks out next to actors. Besides reveling in his second job with Alberta Opera; David competes doing Muay Thai kickboxing. He even traveled to Thailand to gain some fight experience, and came back healthy with everything attached. For several years, David has been a member of the 'whatever makes you happy' school of philosophy. This school of thought has led him to travel regularly, take up massage, work at a men's shelter, and dance away many a summer's night. Wherever he finds himself in the future, I assure you, it won't be doing what you'd expect. Before working for Alberta Opera, David had a blast in Oliver at Edmonton's Citadel Theatre, How to Succeed in Business Without Really Trying for ELOPE, and Titanicat GMCC (because musicals rule!!). 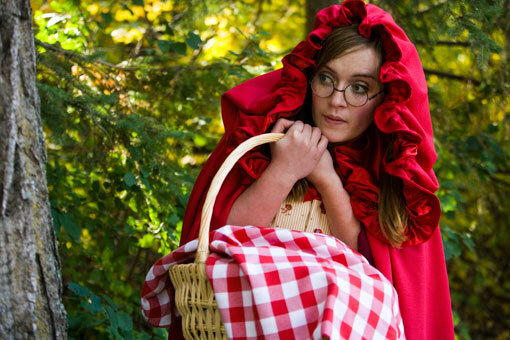 Little Red Riding Hood is Marissa's third design for Alberta Opera; last year she joined the team as set designer for The Frog Prince and prior to that Cinderella. Crystal is very excited to be working with Alberta Opera for a third season. Last year she was the Stage/Road manager for Little Red Riding Hood as well as Cinderella the season before. Most recently Crystal was stage manager for Wedding Ruiner (Last Night Productions) for the 2009 Edmonton Fringe Festival. 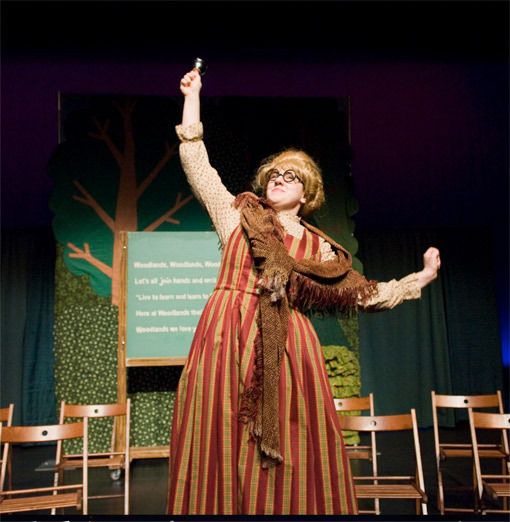 Prior to working with Alberta Opera, Crystal completed a diploma in Theatre Production from MacEwan Collage, where she was the stage manager for the student production of Urinetown. She also worked as an apprentice assistant stage manager with Edmonton Opera for the production of The Barber of Saville. Prior to entering the world of theatre, Crystal completed a Bachelor of Arts degree from the University of Alberta majoring in English and a minor in film studies. Originally from Legal, and a recent graduate of the University of Alberta’s BFA-Acting program, Joëlle was recently seen in Clinton Carew’s Assassins at Studio Theatre as well as Roberto Zucco, Major Barbara, and Largo Desolato. Other selected credits include Pig (Cowgirl Opera); A Midsummer Nights Dream, Blood Wedding (U of A Drama Department); As You Like It, Footloose, South Pacific, Village of Idiots (Red Deer College); and Hamletmachine (Princess Productions) that was part of the 2008 Edmonton International Fringe. In June Joëlle was in Under the Big Top written by Nick Green for Fort Edmonton Park and she has recently finished her first production with Edmonton’s French Theatre Company, L’Uni Theatre, in their production of Des fraises en janvier. Joëlle also enjoys improv dancing, doing various voice over projects, and creating vocal music. adam is a freelance theatre technician + designer, a multimedia + graphic designer, and is currently studying the cello. he likes bicycles, experimenting with user-interface design, and eating sushi. he grew up on a farm. Little Red Riding Hood Adapted by Farren Timoteo and Jeff Unger, Music by Jeff Unger, Directed by Farren Timoteo, Little Red Riding Hood: Jenny McKillop, Grandma Red: Amanda Neufeld, Wolfgang: David Findlay. Photos by Ian Jackson, Epic Photography Inc.